Set Savings of $63 $499 $562 if items purchased separately This 5-Pc. 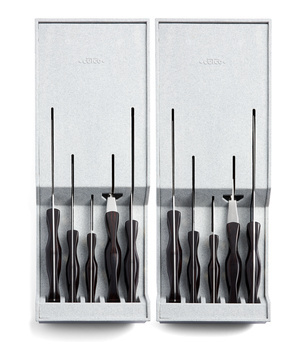 All Knife Set features super-sharp American-made cooking knives that deliver clean cuts and make prep work fast and easy. 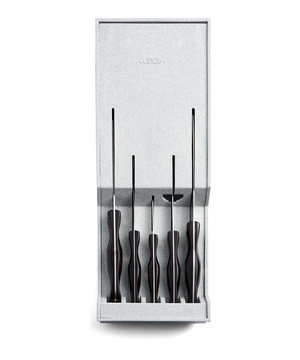 Complete with a tray that will safely store and protect the edges of your knives. Hang on a wall or store in a drawer. 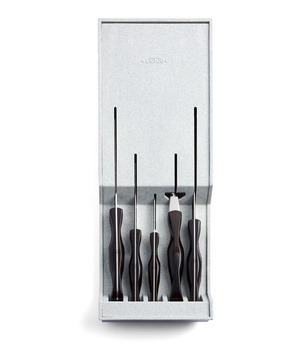 Set Savings of $129 $922 $1,051 if items purchased separately This 10-Pc. 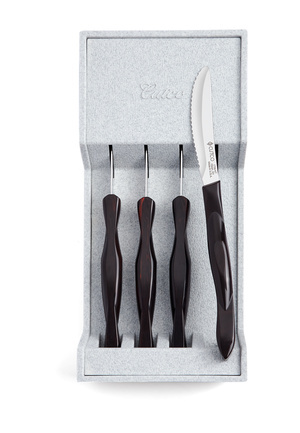 Homemaker Set with a 7-5/8" Petite Chef features super-sharp American-made cooking knives that deliver clean cuts and make prep work fast and easy. Complete with two trays that will safely store and protect the edges of your knives. Hang on a wall or store in a drawer. This set is also available with a 9-1/4" French Chef.